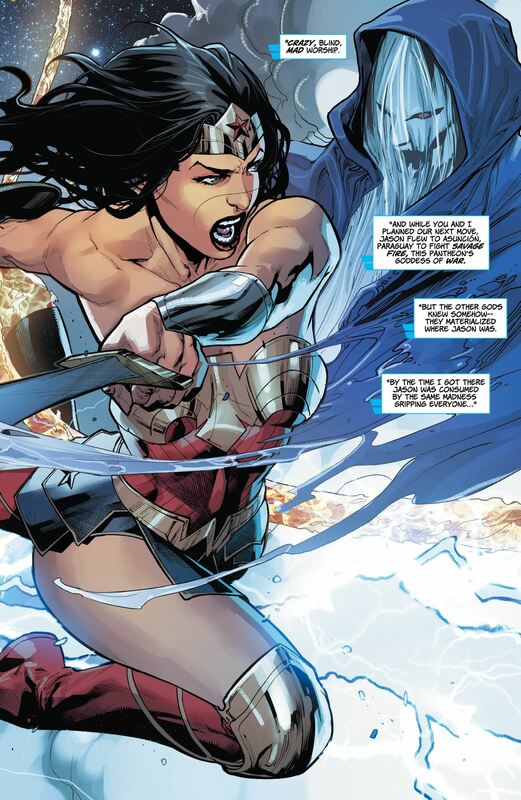 If you're looking for a certified God of War on a personal vendetta against a pantheon of gods, Wonder Woman has you covered. The current version of Diana hacking and slashing her way through the DC Universe, anyway. After unintentionally bringing a new collection of "Dark Gods" into the comic book universe, it falls to the daughter of Zeus to save Earth from their malice. And in our exclusive preview of Wonder Woman #50, the stage is set for one of Diana's biggest battles in years. The worst part? It isn't just the Dark Gods of DC's new universe she will have to defeat - but her own brother, too. When last we left Wonder Woman #49, the battle brewing ever since DC's METAL cracked open the Multiverse seemed to be reaching its climax. With the Dark Gods playing similar roles to the Greek pantheon, but with all-powerful demands, enslaving humanity, Diana and her twin brother Jason were splitting up to oppose them around the globe. Just as they seemed to knock back their leader, King Best, the Dark Gods launch an assault on Jason. In the issue's most surprising twist, made clear in this preview, is that the comic will begin after Diana's battle with the Dark Gods. 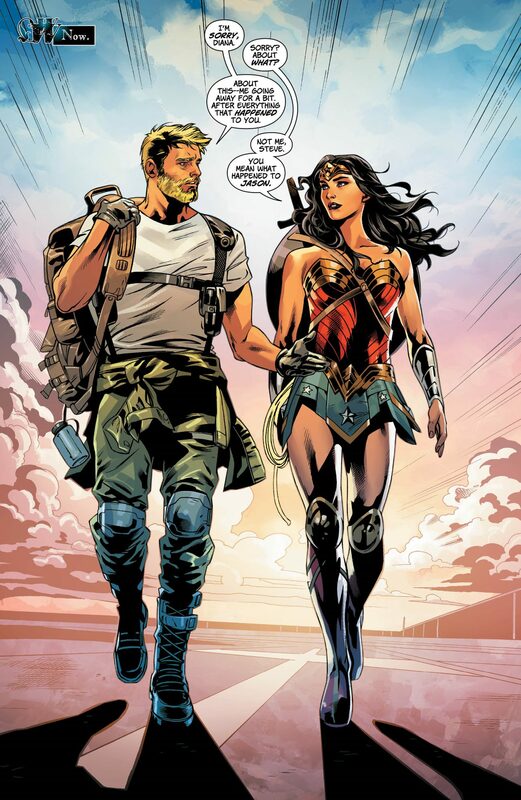 Parting ways with Steve Trevor after the battle isn't a shock, since fans expect it to be a big, future-altering showdown for Diana (and potentially even more humans). But the fact that the future of Jason is left unclear may be the biggest tease. 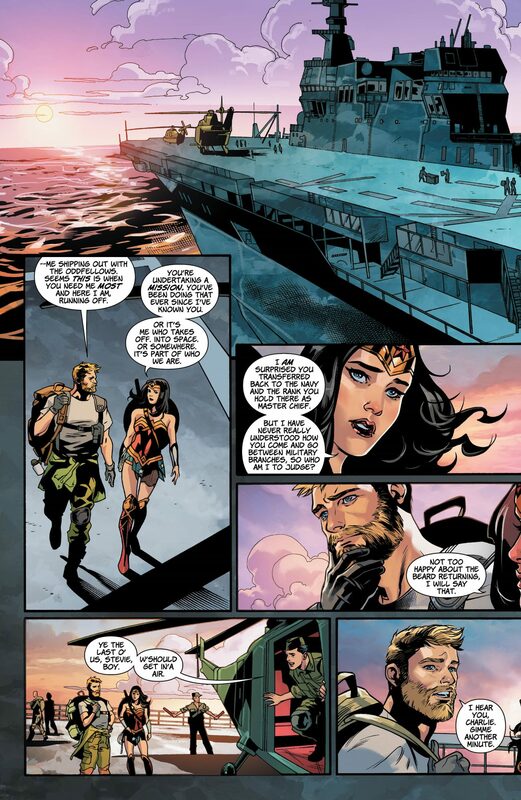 Would DC Comics introduce Diana's twin brother only to dispatch him so soon? And would he be defeated by Diana, after being manipulated by the Dark Gods? 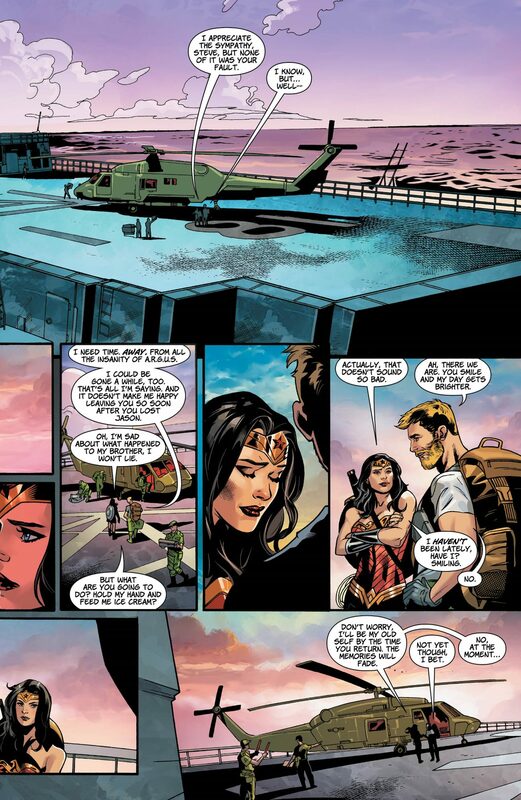 We would wager that Jason sees reason at some point - Diana's greatest superpower is love, compassion, and truth, after all - but anything is possible. 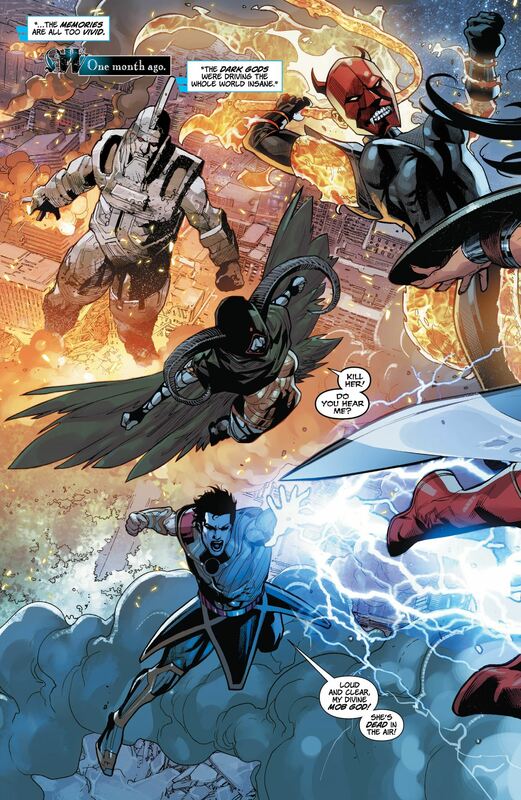 Especially with the final splash page promising a war between gods that lives up to the name. 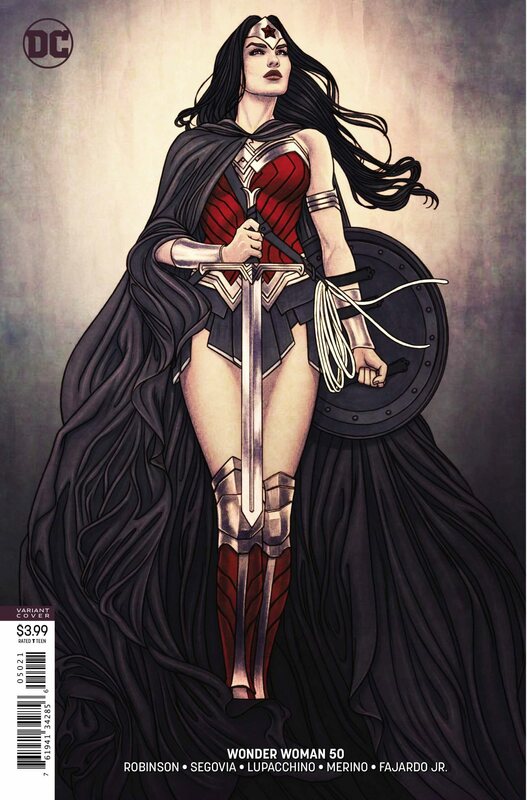 Wonder Woman #50 will be available from DC Comics on July 11th, 2018.